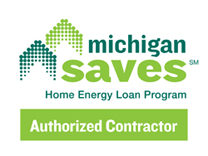 Our goal is to help you save money and energy by showing you how to implement low-cost affordable energy-saving measures. We specialize in keeping your budget in mind when recommending repairs for your home. Find out which improvements to make first. Accurate Energy Audits performs a comprehensive diagnosis of your home’s energy efficiency. We take the whole-house approach in evaluating your home’s performance. We know how to save you money, live more comfortably, and help save our resources.